Commercial Real Estate: What Can I Do To Minimize My Risk As An Investor? First and foremost, let’s get a frequently asked questions out of the way, “Is commercial real estate investing risky?” In short, the answer is yes. Commercial real estate is often appealing to investors because of the possibility of a high reward, but that doesn’t go without risks. While commercial real estate investing is risky, there are many steps you can take to mitigate those risks and produce an income. In today’s blog, we will be sharing our knowledge to help you make the most informed decisions when it comes to commercial real estate investing. Let’s get started. When it comes to minimizing your risk as a commercial real estate investor, one of the most important things you can do is take a hands-on approach during the due diligence period. During the due diligence period, you will be analyzing the property, title, tenant relationships, and many other legal documents relating to the property to look for any red flags before moving forward with your commercial investment. During this period, you should be able to uncover any potential issues that could turn your hopeful income producing investing into an investment nightmare. What are the interest rate trends? What are the unemployment rates? Are there low vacancy rates? Is there a slow season? Does your city have rent control? Can you confidently answer these questions? By doing your research and making sure you have a thorough understanding of the market and trends, you can help ensure you are making a wise investment decision. This may sound obvious, but overpaying for commercial real estate is not uncommon. It’s so important to do your research and compare your property to close listings nearby, as well as take into account how much your property is worth per square footage or unit to analyze cash flow. When you overpay and miscalculate cash flow, what you had hoped would turn into a profitable real estate investment turns into a liability — leading to failure. So whatever you do, don’t overpay. Though getting a commercial real estate loan may be a little frightening, don’t think you have to go through the process on your own. 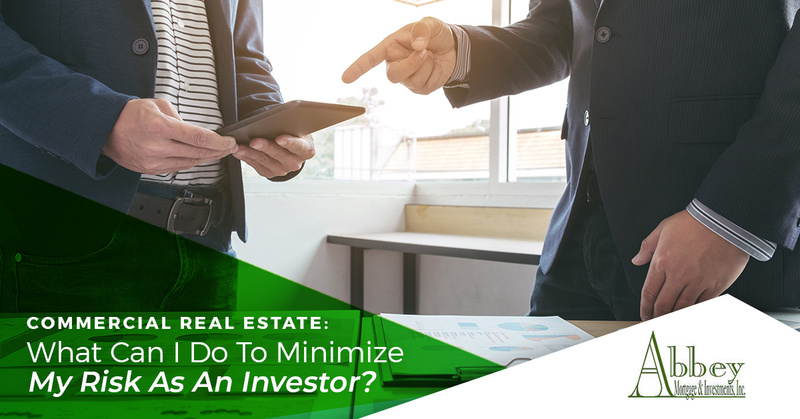 When it comes to commercial real estate investing, it’s important to work with a team of professionals who can provide you expert knowledge and guidance when it comes to your investment. We hope these tips were helpful and provided you guidance on your next commercial real estate venture. If you have any questions regarding your commercial real estate investment or would like to look at getting a Colorado commercial loan, contact us today! We look forward to helping you with your investment.